Mission: Our mission would be to provide first professional landscape architecture levels founded on excellence in design education. We provide this with an exciting academic and exercise based type of interdisciplinary design thinking and learning. Our programs are available to students and faculty of cultures who would like to explore new urban landscapes and sustainable design concepts that influence the growth of the landscape architecture profession and also the different and global towns it seeks for everyone. LA Galleries: Through studio operate in urban design, planning and design, our students acquire understanding regarding natural and built systems that influence the type of our urban spaces. These result in the style of riverfront promenades, public parks and social plazas, in addition to neighborhood revitalizations right in the middle of the town. Through cutting-edge design explorations, furthermore, students learn how to formulate design solutions for technical and spatial the process of energy and ocean-level rise occurring these days and beyond. Practice: Our students also take part in experiential learning by working within professional firms or doing community service and research. During these configurations, students test their academic breakthroughs by reacting to real clients and towns. These practice encounters equip students with hands-on understanding and permit them to transfer to their professional career-path in early stages. 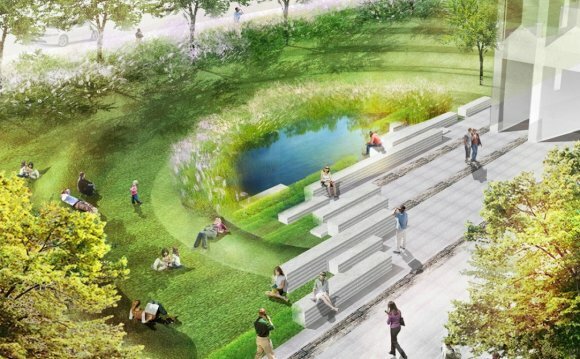 Location: The College of Landscape Architecture takes full benefit of its prime location in the heart of Boston. Students can watch and think about real facets of urban living and the value of our public open spaces.